I agree that season three struggles slightly as it tries to maintain the urgency of the first two seasons. It even has the worst episode of the entire show for me. (Nikki and Paulo). 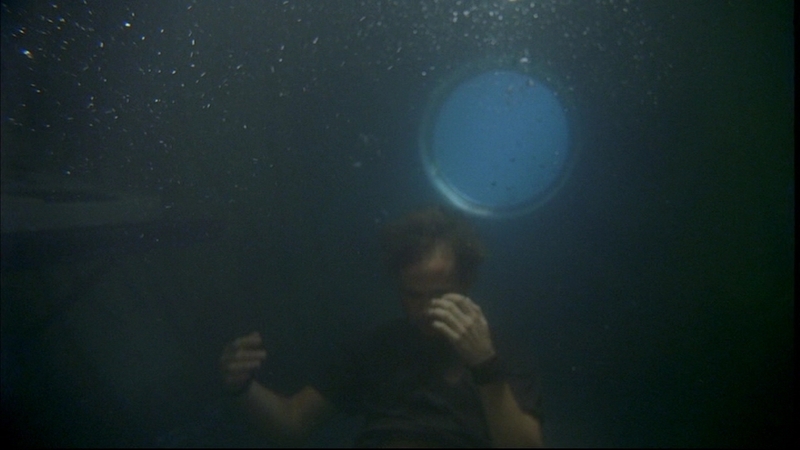 There are some really great moments though – the Desmond, Charlie, Hurley, Jin camping mini-arc springs to mind – and Charlie’s fate is incredibly sad. Awesome write-up Vinnie! Thanks for commenting Adam. The camping arc is great, Jin’s ghost story is so funny. The brainwashing video was one of my favorite parts, oddly enough. Definitely had a Clockwork Orange feel. It definitely did have a Clockwork Orange feel, it was so creepy yet intriguing. I can’t eat cole slaw without thinking of that video. Watched when I was sick and was eating cole slaw at the moment. 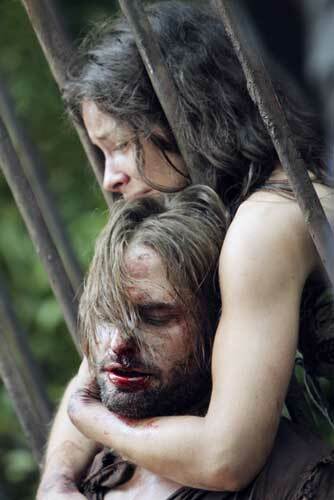 I enjoyed watching Lost, I agree, this third season was not as good as the first two seasons though. It all got a bit too complicated at times. It was still a great show, and always kept you looking forward to the next episode. Thanks, cliffhangers were always riveting on Lost. Think that was the thing that kept me so hooked on Lost, even when the story got very complex, there was always that hook to bring you back the following week. A great series. You’re exactly right man, it just keeps you hooked and doesn’t let go. Great write up, looking forward to more Lost reviews. Thanks, plenty more of them are coming up on this blog in the future. I think during Season 3 is when I began wondering what was going on with the writing of the show and finally gave up on it when I figured they’d probably died in the plane crash and they were somehow waiting for judgement. It was the only reasonable explanation. Anyway, I could never understand why Nikki and Paulo were in the show. I didn’t like them and from the reviews the day after, none of the reviewers like them either. By the time Season 4 came and went, I’d abandoned watching all together. I didn’t even tune in for the finale. Oh, well! Great recap, though. You did a wonderful job hitting all the plot points and wrote it up perfectly! Again, good job! Thanks, I understand what you mean about this season becoming a bit too complicated. It’s been over a year since I have watched through this show and reading this review gave me some serious flashbacks making me want to rewatch it. I do remember this being the weaker season, but I do want to talk about a certain episode involving two certain characters. Nikki and Paulo of course. When I watched through this show, I didn’t really know anything about it except for what my wife told me. The media had stopped buzzing about it so I was lucky to not have any spoilers (except that simpsons episode thats about binge watching) so when I watched this episode, I honestly really liked it. Over the past few months though, I feel like I’m the only one. I think it might just be because being buried alive gives me an uneasy feeling making the show that much more twisted and creepy. But the recently had a panel with the Lost created for the tenth anniversary and they admitted to hating those two characters even while they were writing that episode. I just always thought it was funny that no one liked that episode. Thanks for the comment, the buried alive scene is so ghoulish. I remember watching these episodes the first time and knew, even then, that these characters were going to die. I just didn’t realize how quickly it would be. I know what you mean, I didn’t realise they were going to die so soon in the series. Thanks for the comment, Lost is just such an enthralling series that kept you glued.